Venice-BB-Venezia is a small and comfortable b&b located on the second floor of a historic 15th century building in the very center of Venice, where you will experience an authentic Venetian lifestyle in the true spirit of bed and breakfast. Nestled in a quiet garden, Venice-BB-Venezia is located in the Cannaregio sestiere, between the Ponte delle Guglie (Spires Bridge), the famous Casinò and the Ghetto Ebraico (Jewish Ghetto), a short walk to Ponte di Rialto (Rialto Bridge) and Piazza San Marco (St. Mark's Square), and in close proximity to a colourful green market. 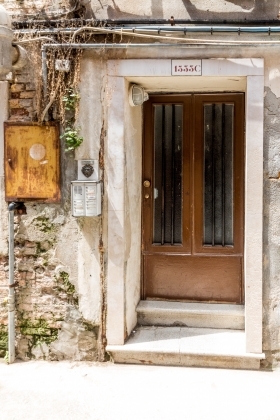 We can be easily reached from Venice's main arrival terminal: train station (Santa Lucia), bus station (Piazzale Roma) or car parking (Tronchetto), both being just a few minutes away. From the main airport (Marco Polo) you can reach us very easily by waterbus or bus. (Vegetarian, vegan and gluten-free options are available upon request). - Air conditioning and a minifridge with free drinks. - High quality sheets ( Cotton Satin or Percalle cotton ). extra pillows and blankets, soap and refreshing wipes are available. - The bathroom is shared between the two rooms. - Luggage storage facility available. - Map of Venice, timetables of buses and waterbuses available. gondolas, and romantic off-the-beaten path spots in the city. - We provide boots for the hight tides and flooding and umbrellas for rain. CHECK IN : Check in is any time after 12pm dependent on you communicating your arrival time. CHECK OUT : Check out is before 11am. - It is possible, on request, to add an extra bed. Extra charge: 35 euro . - Children up to 10 years old pay half price. - Fixed cleaning cost (15 euro) and Tourist tax (3 euro per person) are not included. ROOMS DESCRIPTION The two rooms are stylistically different but are both charming and comfortable, and include the same services. Their rates are also the same. The Superior Room Has Been designed using eco-sustainable materials and features a comfortable futon mattress on a tatami platform (rice straw and latex mattress). The room includes a large mirror a comfortable rattan sofa which could be used as a third bed. A large mirrow, soft colours and specific lanterns created a warm and homely atmosphere. Air conditioning, mini fridge and free Wi-Fi are included. The Deluxe Room features a tall window which lets in a lot of sunlight, a large mirror, a chest of drawers and an elegant wardrobe. The style of the room is classic with clean colours relaxing green plants and a warm decor. A comfortable leather arm-chair and a floor lamp will make your reading more relaxing. Air conditioning, a minifridge and free Wi-FI are included.